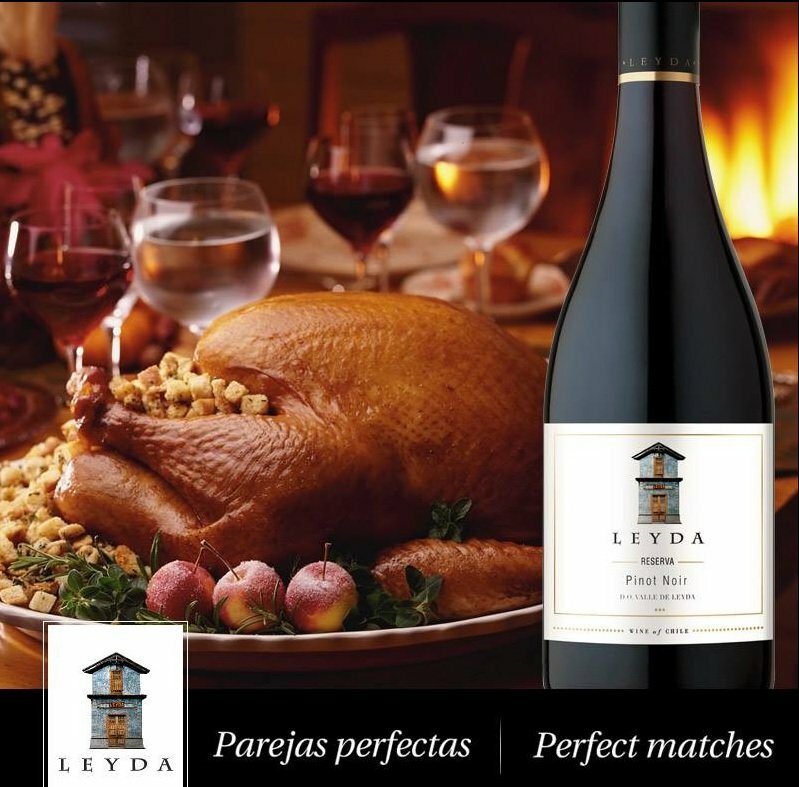 Vina San Pedro 2012 Leyda Reserva Pinot Noir, Chile. Georgia’s Wine Pick. At my hacienda there seems to be loads of entertaining going on this summer. An abundance of lighter foods going on my grill. So on the hunt for a terrific value Pinot Noir. I come across the Vina San Pedro 2012 Leyda Reserva Pinot Noir from Chile. Coming from the Leyda Valley appellation which has quite the reputation for incredible value wines. This Pinot Noir delivers big time. On the nose bold red fruit and a hint of tobacco, while on the palate fresh berries and good acidity and gentle tannins everyone seems to love this everyday wine. All for $12.50 here locally, you can’t go wrong. On this show The Wine Ladies explore the country of Peru and its capital Lima, regarded as one of the gastronomic capitals of the world. From the huge bio diversity of the landscape including the coastal region, the Andean region and the Amazon comes an incredible fusion cuisine. You’ll also discover Pisco, Peru’s national drink, a grape spirit, a wonderful elixir that is made with grapes from vast, green vineyards that flourish in the heart of the arid deserts of Peru. This traditional spirit dates back hundreds of years and is the new rising star at the bar! Pisco Sour anyone? Peru a land of gastronomy, spectacular landscape, incredible people and of course Machu Picchu! https://www.thewineladies.com/wp-content/uploads/2014/07/images_LeydaReserva.jpg 787 799 Susanne Seelig-Mense https://www.thewineladies.com/wp-content/uploads/2017/08/WineLadiesLogoTransparent.png Susanne Seelig-Mense2014-07-29 16:12:502018-06-12 14:46:49Vina San Pedro 2012 Leyda Reserva Pinot Noir, Chile. 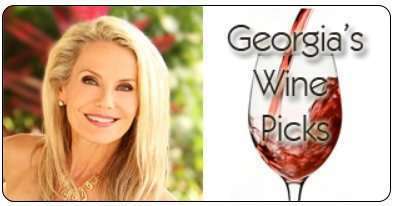 Georgia's Wine Pick. Maybe not the most expensive Malbec. Certainly good bang-for-your-buck wine. 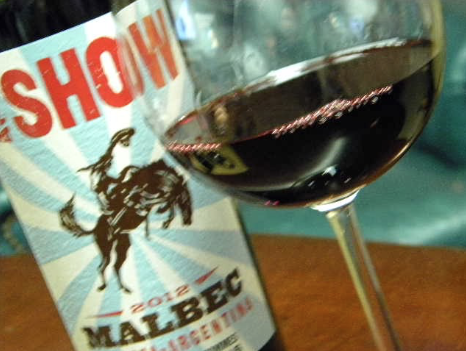 Rebel Wine 2012 The Show Malbec is produced by Three Thieves which is owned by Rebel Wines out of California. Despite this, The Show Malbec is made in Mendoza, Argentina home of many great Malbecs. 85% of this wine is from Lujan de Cuyo and the other 15% is from Uco Valley. This blend of fruit from high elevation vineyards in the Uco Valley and Lujan de Cuyo result in a mix of ripe fruit and savoury notes. A great match for grilled steak or game! 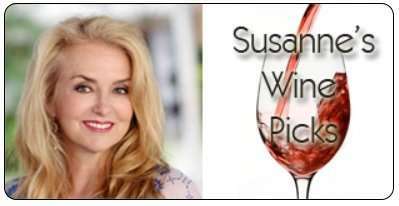 The Wine Ladies”Taking Life One Sip at a Time weekly radio show will share with the audience their passion and sense of adventure for delectable and fascinating foods, wine, spirits and lifestyle discoveries. Their motto “everything in life somehow comes back to the vine and to live life large and with integrity will be intertwined with a variety of guests from around the globe… Chatting with celebrity chefs, celebrity winemakers, exotic food purveyors, artists, musicians, sports personalities and fashion icons be sure to tune in for an hour of lively topical and educational conversation. Bringing the listeners the latest and coolest in everything wine, food and lifestyle related Georgia and Susanne have a knack for discovering these treasures in the most unlikely places from the top of the Andes in Peru to the bottom of the Pacific Ocean! “Edu-tainment is the name of the game with The Wine Ladies. Why do some wine bottles have a deep indent on the bottom? Ask The Wine Ladies. 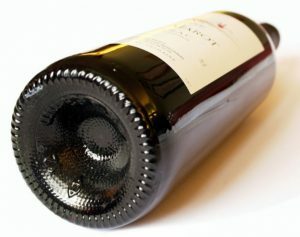 The deep indent on the bottom of a wine bottle is known as a punt. Why do some wine bottles have a deep indent on the bottom? There are several theories out there as to the reason for this indentation, otherwise known as the “punt”. One that seems to get the most attention and is very likely, is that in the old days when wine bottles were hand-blown glass it would have been difficult to make a perfectly flat bottom hand made bottle, thus the punt added stability and strength. Now of course, this is no longer an issue as wine bottles are machine made. A second explanation is that the punt would serve as a collector of the sediment of the wine, facilitating the pourer of the wine to stop as the level of the wine in the bottle reached the tip of the punt. Having said that still today you will find many still wines with an indentation in the bottle, which is more a question of choice, or marketing rather than necessity. Perhaps the bottle with a punt leaves the consumer with the impression that this vessel might contain a “superior” wine. In the case of sparkling wines, the punt definitely serves the purpose of providing greater strength and stability of the base of the bottle, enough to withstand the pressure of the bubbles should the bottle be plunked down too aggressively or mishandled. 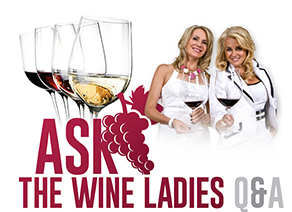 Submit your questions to info@thewineladies.com and listen to our answer on our weekly audio podcast. https://www.thewineladies.com/wp-content/uploads/2014/07/Screen-Shot-2018-06-12-at-8.31.10-AM.png 315 806 Susanne Seelig-Mense https://www.thewineladies.com/wp-content/uploads/2017/08/WineLadiesLogoTransparent.png Susanne Seelig-Mense2014-07-21 12:23:172018-06-12 08:36:27Why do some wine bottles have a deep indent on the bottom? Ask The Wine Ladies. The Wine Ladies and guests at Janie Liang Salon and Spa in Oakville. Great event, loads of prizes. Remy Pannier rose wine tasting from the Loire. 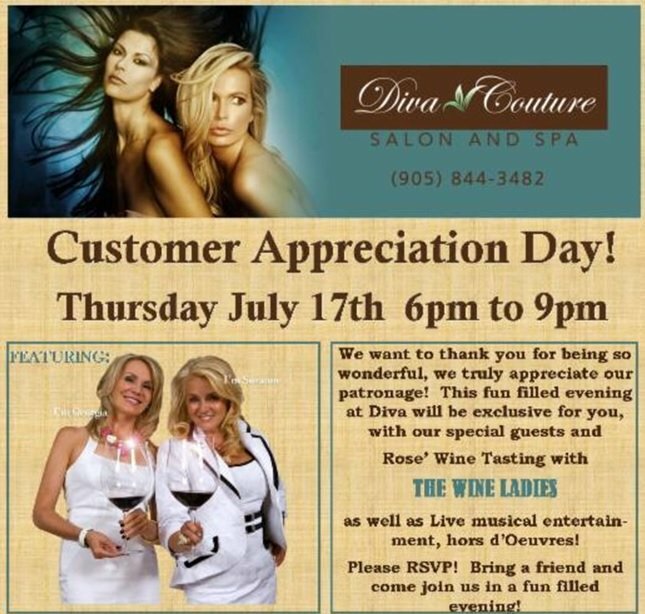 Join us Thursday, July 17th for Customer Appreciation Day with The Wine Ladies & Diva Couture Salon & Spa in downtown Oakville. 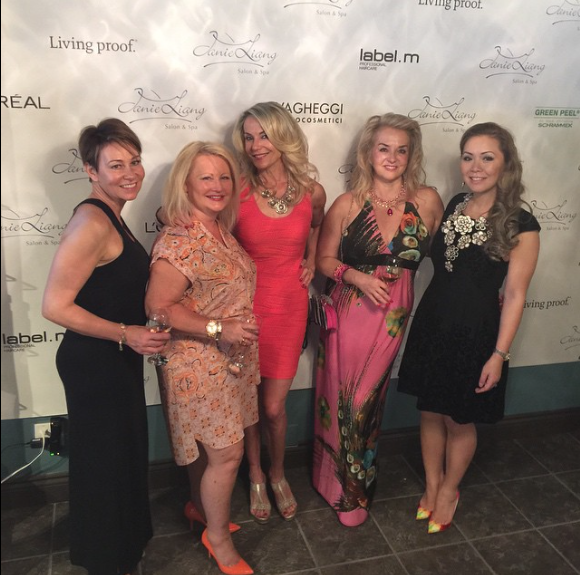 We are always red carpet ready thanks to the efforts of our good friends Cate, Linda and the entire beauty team! Your evening includes a complimentary rosé wine tasting with us! 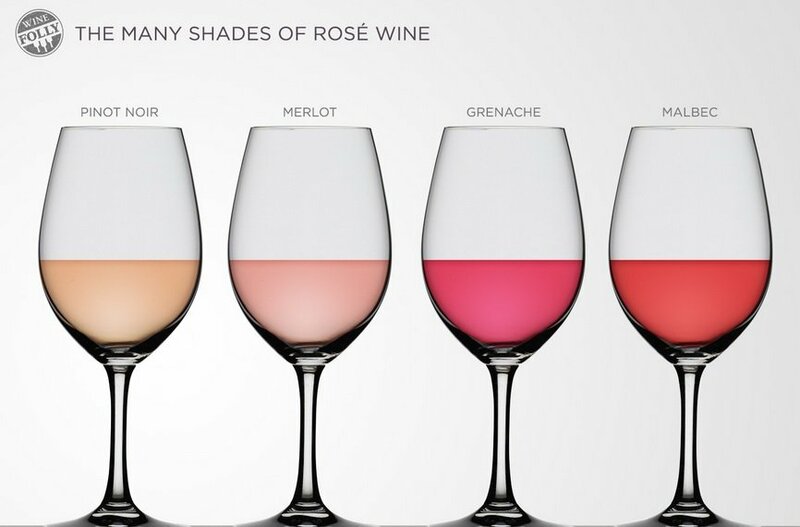 The numbers are staggering, wine lovers and aficionados around the world are flocking to rosé. 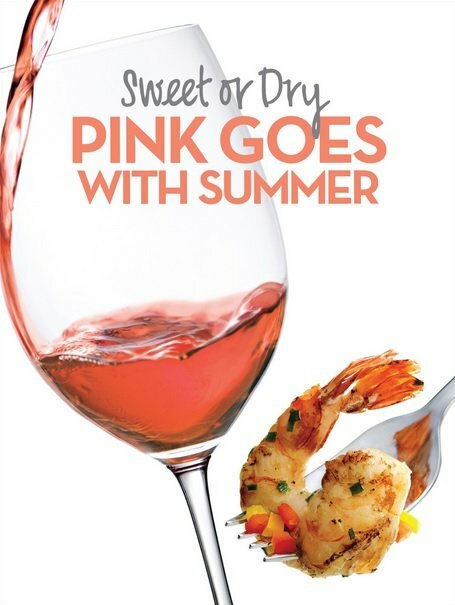 “Think Pink” this summer and taste why more and more wine drinkers are seeing a lot more pink in their glasses! No longer sweet on the palate today’s rose´s are crisp and dry with a seductive aroma of fresh field strawberries, raspberries and black currant. Ranging in colour from a soft salmon to a bright pink, ranging in flavour from full berry fruit, to floral notes and touch of mineral, medium to full bodied and complex, these are the rose´s of today! And they are easy going, adaptable to pair with most foods, bringing red wine structure with white wine freshness, toss in a little sunshine and Voilå, the perfect summer sipper! Door Prizes! Including a Grand Prize Diva Makeover valued at $500. Complimentary Service Specials – Nail polish changes by Jessica, Makeup by Lynn Eyebrow shaping by Lynn L and much more. Discount on Services and Products and your VIP Invite before Midnight Madness. Check out Downtown Oakville’s Midnight Madness on Friday, July 19th, more fun and entertainment. Remy Pannier Rosé d’Anjou is the #1 selling rosé in Ontario! 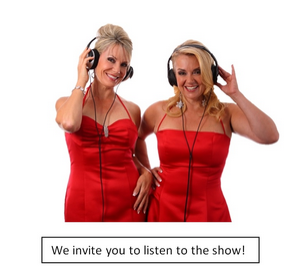 Find out why on The Wine Ladies audio podcast…. 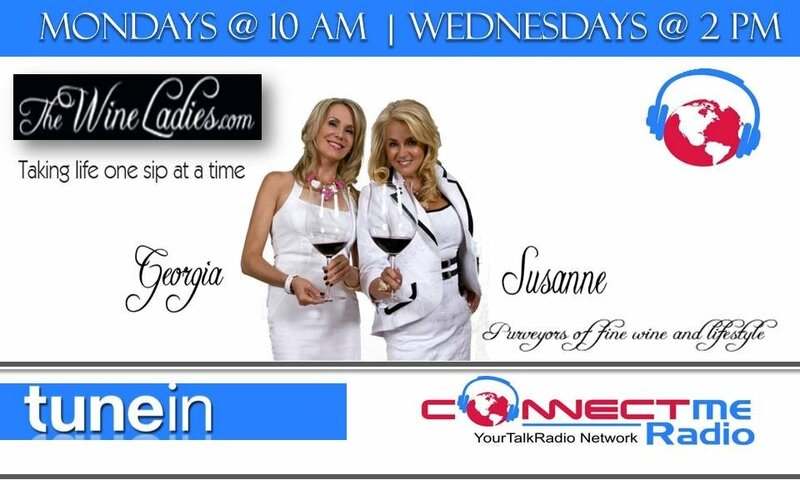 We’re back and we are excited to be on the radio with a new weekly talk show on Connect Me Radio! To be starting soon …The Wine Ladies…. Taking Life One Sip At A Time. Having had weekly radio shows on some other great networks including AM 740, 1050 CHUM,CP24 and The Jewel Network this is going to be a wonderful fun experience yet again. If you would like to be a guest or have some great story ideas, please let us know. We can interview people them from all over the world… and they don’t have to be here in Toronto. Also some awesome sponsorship opportunities for your products and businesses too. Each episode focuses on special guest appearances by a winemaker, master chef, restaurateur, or celebrity from many walks of life whether in sports, music, entertainment or leading business entrepreneur. It’s all intertwined with the love of the grapevine!